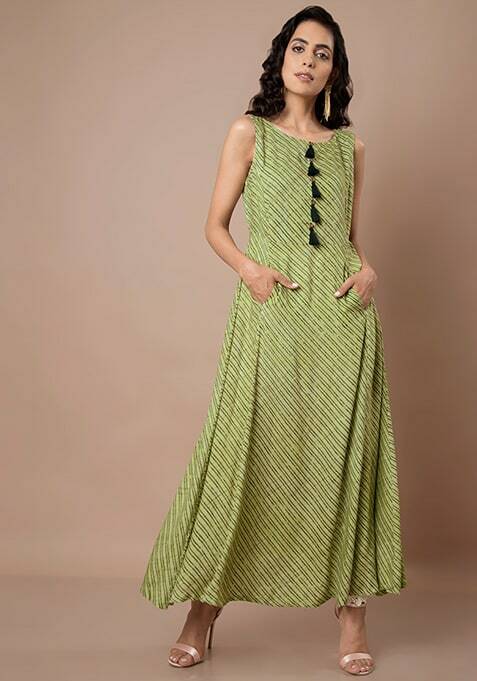 If effortless styling is your way to go, then you must get this green and black printed tunic that is crafted using soft quality viscose. This sleeveless tunic features tassels on the front and diagonal print stripes. Work It: Style this beautiful tunic with oxidized jewelry and wear subtle make-up to look simply gorgeous.